Bring on the competition and set the tone of the game with a stylish uniform from OTD. 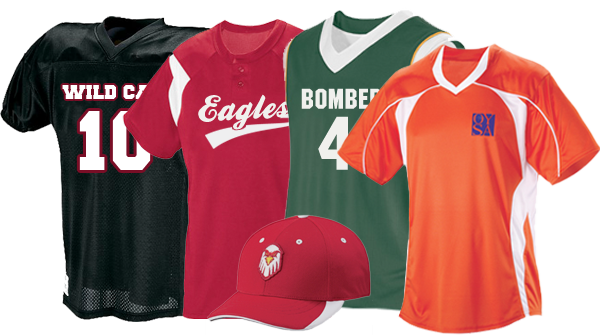 We offer a wide range of top name brands to help you easily create your own uniforms & sports team shirts for both youth and adults. From warm-ups to caps to jerseys we'll have your team looking like a pro. Start with a game plan. 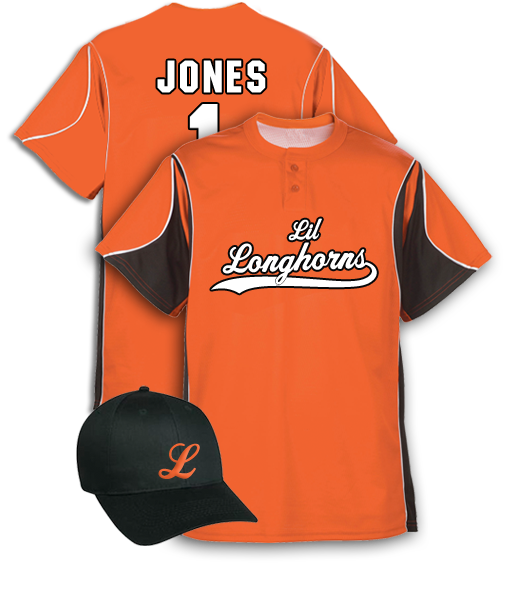 We know you have a budget to work with and need a variety of uniforms at affordable prices to choose from. We carry many types of uniforms and can help you choose the right one to fit your budget. We can design and print you team names, player's names, numbers, mascots or logos for your entire team or individual uniforms. Football, Baseball, Basketball, Soccer, Volleyball, Tennis, Track & Field, Cheerleading, Dance Teams. After your design is complete we find you the best apparel to print it on. Our relationships with our suppliers allows us to offer you the lowest prices in town. Whether you need 100% cotton, 50/50 blended shirts, performance shirts our selection of apparel brands is endless. Team and Parent shirts are a great way to promote your sports team, camp or clinic. We can also provide you with signs, banners, stickers or any other promotional tools to show your team spirit. We also provide coaching apparel to help coordinate your staff with sport shirts, crews and jerseys. Available for adult and ladies we have something for every budget including coordinating caps, visors and jackets.